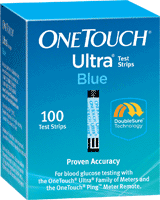 One Touch Ultra Blue Test Strips, manufactured by Lifescan, are test strips are a blood glucose testing strip use double sure technology. 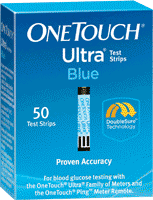 These test strips are designed to eliminate the risk of a false reading by checking each sample twice. These Test Strips are for one time use. After each use, dispose of the old strip. 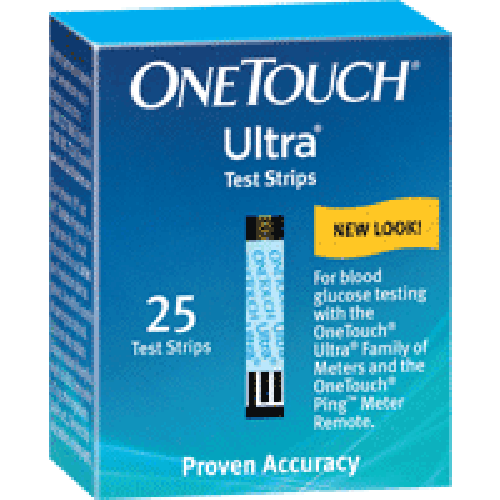 These test strips are designed for use with the One Touch Ultra 2, OneTouch UltraSmart, One Touch Ultra Mini, OneTouch Ultra, and InDuo Meters. 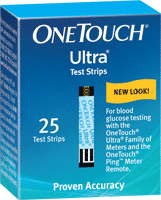 To use these Test Strips make sure the meter is turned off and do not bend, cut, or alter the test strips. I've got to say, I'm liking these new strips. The readings are more precise, which if you have diabetes, that's important.